Posted on November 11, 2013 by Billy S.
Our most recent release contains a few new features to help with both front-end compatibility and back-end workflow. The most visible feature is the new Mobile Friendly switch we’ve included in the Look & Feel page for all forms. Accessed on the Advanced/CSS tab within Look & Feel, the Mobile Friendly switch is on by default for new forms (off for existing forms) and applies certain style definitions that provide a mobile optimized experience. These style definitions include making the form fields a little bigger for easier finger tapping, zooming the page to fill the screen by default, and other subtle usability enhancements. We have included the switch to allow customers to decide for themselves whether they want or need the mobile optimization, as well as the ability to disable these definitions for maximum control of form styles. Visit our documentation page for more information about how we optimize Formsite forms for mobile devices. A newly-released function to enhance back-end workflow is an optimization to provide a date filter when exporting attachments. This is a request from customers that we are sure will be popular, especially with those using our Signature feature. Forms that include signatures or file uploads can become difficult to deal with after a period of time due to a large number of attachments. The previous method to export attachments from multiple responses was to export the entire attachment library. This new feature lets customers select a time period to limit the attachment export in order to ease the burden of large or numerous files, or for those customers who only want to download files since their last visit. 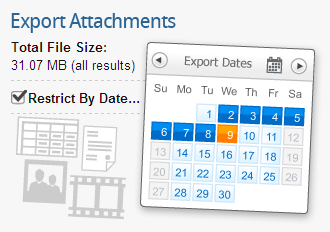 The new tool replaces the previous attachment export function accessed at Results -> Export -> Export -> Attachments. The ability to export the complete attachment library is still the default operation, with the date filtering a new option. Read more about Formsite features on our Features page. Our most recent release has published a few new features to help with both front-end compatibility and back-end workflow. One feature is the new HTML5 validation that benefits from the power of new browser technology. HTML5 offers new code elements that allow programmers to present interactive content easily. 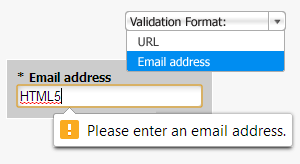 In addition to providing more types of content, HTML5 validation will automatically check form fields for the correct format. This automatic validation lets the visitor know when the form encounters a response that doesn’t match the expected response format, such as URLs and email addresses. While validation is nothing new, the ability to tag the fields and let modern browsers alert the user when they’ve entered the wrong kind of value is a feature of the new HTML5 standard. These tags do not require any configuration and are automatically placed with each applicable form item and validation pair. We’re looking forward to using more HTML5 features as the standard is evolved and browsers increase their compatibility. 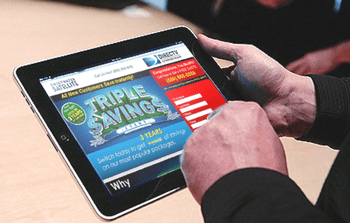 Read more about the exciting new possibilities of HTML5. Posted on October 3, 2013 by Billy S.
Our online form examples section is one of the most popular areas on our website for new and existing customers to get inspiration. In addition to providing sample content like survey questions, registration options, and order form ideas, they also show a wide range of form creative ideas for all experience levels. There are examples that show the built-in features of our form building tool, as well as examples that show the advanced possibilities available through directly editing the style sheet. The new example section contains the previous categories showing registration and sign-up form examples, marketing and survey examples, and order form examples. Additionally, three new categories have been added: Form report examples, form style examples, and form email examples. Finally, there is a new category called Real Life Form Examples that shows some actual samples from our customers. These real world online form examples show how others have used our services to create real business tools that are both useful and effective. Take a look and let us know what you think. Posted on July 16, 2013 by Bill O. Save and Return is the new name for our Form Login feature. All existing functionality remains the same, only the name has changed to be more descriptive. The Save and Return feature allows users to create accounts that are associated with their form results. A user can use their account to save a partial form result and return later to finish it, or to view past form results. 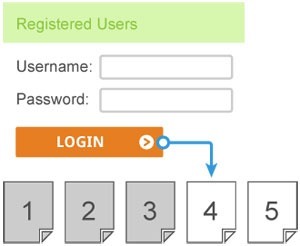 You can create users’ accounts ahead of time, or allow users to create their own accounts. You can also customize how many times the user is allowed to return. We have also added new functionality that allows you to manually assign (or reassign) a Save & Return account to an existing form result. To do this, go to your form’s “Results > Summary Table” page. Then, click on a result row’s Username column. The Save & Return feature is available to all Pro 1 level or higher Formsite accounts. Posted on July 15, 2013 by Bill O. All new forms will immediately take advantage of the change. Existing forms will be automatically upgraded the next time you load them in the form editor. Unedited forms will continue to work unchanged. 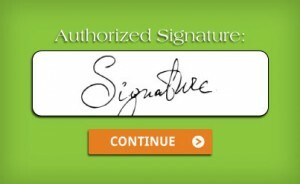 The new Signature item is an example of a new feature that was built with jQuery. 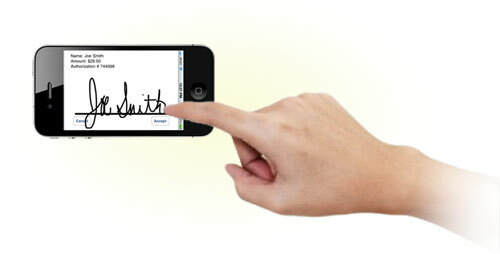 This feature allows for an additional layer of verification and is able to capture a signature using a mouse, stylus, or finger (with a compatible touch-enabled device, of course). The new upload progress bar is another example of a new feature that was built with jQuery. As a file is uploaded, the progress bar updates in real-time to give users feedback on the upload process. For older browsers, there is a built-in fall-back that shows a generic waiting animation instead. 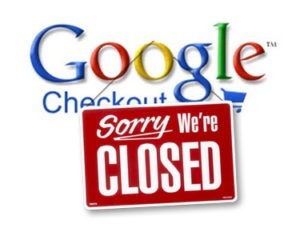 Posted on June 24, 2013 by Billy S.
Google has announced that it’s closing the doors on Google Checkout later this year. Google officially replaced its payment processor with Google Wallet in September of 2011 and has been encouraging merchants to transition to other forms of payment processing, such as PayPal or Authorize.net. How will the Google Checkout shutdown affect Formsite customers? Formsite no longer allows Google Checkout as a payment option for new forms and encourages all Google users to change their payment integration option as soon as possible. Google Checkout users must transition to another payment processor according to Google’s schedule (before November 20, 2013). Visit our documentation page for more information on Formsite payment processing options. Posted on April 3, 2013 by Bill O. Several exciting updates have been added to the Look & Feel page to help you style your form and fields. First, two new Look & Feel settings are now available to customize the size of text fields: “Field Font Size” and “Field Padding”. You can use these to make big, fluffy fields (or tiny, compact ones). This can be used to help attract attention to your form items, or to make them as concise as possible. Next, more Look & Feel options have been added to make fields and buttons rounder. Rounding can provide a nice, customized look to your form. Rounded corners will work in any modern browser, but please note that Internet Explorer 8 and below cannot support rounded corners. Posted on April 3, 2013 by Udaya A. The Standard Success Page format has been updated to use a full HTML editor in place of the simple text editor and preview section. This new format allows for more flexibility to customize your Success Pages for a form. You may replace the ‘Green Check’ image with your own custom image and can use the ‘HTML’ icon to the far right to add custom code. Existing Success Pages will automatically show up in the new editor. A new ‘Reset’ link has also been added to both the ‘Standard’ and ‘Custom’ Success Page formats. This can be used to reset the contents of the ‘Message’ section to the default image and text. For example, if you remove the ‘Green Check’ image but want to get it back, you may use the ‘Reset’ link. For more details on our Success Pages, please visit our documentation page.